Australian citizenship symbolises our unity as a nation. It represents a commitment to Australia and its people, the values we share and our common future. Citizenship ceremonies are conducted at the Shire Office in Jurien Bay. One of the most popular Citizenship ceremonies is held during the annual Australia Day celebrations on 26 January or on Citizenship Day 17 September. Citizenship application forms are available from post offices. For more information call the Citizenship information line on 131 880 or visit the Citizenship website. singing of the national anthem, Advance Australia Fair. The Department of Immigration and Citizenship confirm eligibility to participate in a ceremony by providing the Shire with a conferral report following the Departmental processing of your application. The Shire will contact you to confirm when the next ceremony is being held. Does anyone in your town make you proud? 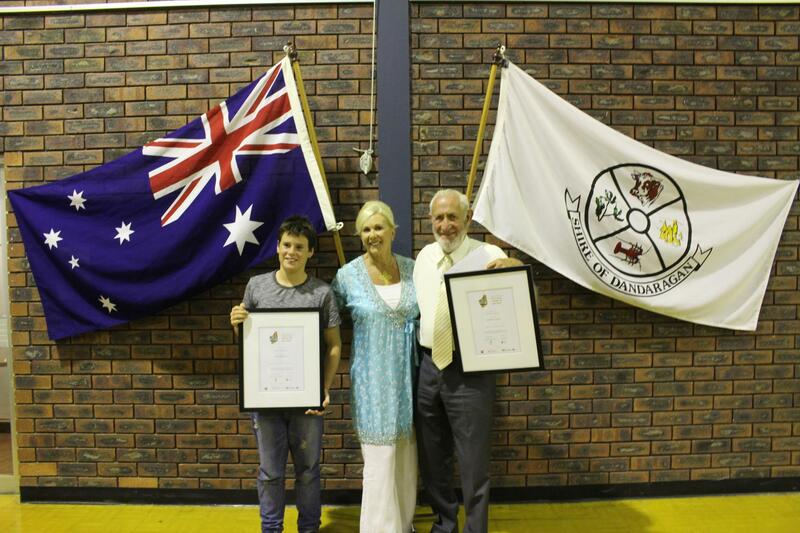 A part of the Australia Day family of awards, the Citizen of the Year Awards focuses on community contribution and participation rather than personal achievement. The Shire of Dandaragan holds this event on the second Tuesday in February and it rotates around the 4 towns within the Shire each year. These state-wide awards are exclusive to Western Australia and are designed to acknowledge and reward local residents and groups for their contribution to community life and their active participation in local projects. The two awards highlight active citizenship, outstanding contribution to the local community and Australian pride and spirit. the Young Citizen of the Year Award for a person under 25 years. This year, the awards ceremony will be held at the Dandaragan Community Centre on 12 February 2019 commencing at 7.00pm. Supper and refreshments will be provided. AN INVITATION IS EXTENDED TO THE PUBLIC TO ATTEND. For further information visit the Australia Day Council of Western Australia website or phone the Shire of Dandaragan Administration Centre on 9652 0800. Each year our nation celebrates the achievement and contribution of eminent Australians through the Australian of the Year Awards by profiling leading citizens who are role models for us all. They inspire us through their achievements and challenge us to make our own contribution to creating a better Australia. The Australian of the Year Awards provides all Australians with the opportunity to recognise someone who makes them proud. The Awards operates at two levels - state/territory and national. State and territory selection committees select four finalists for each award category, with one of these finalists becoming the state/territory award recipient. State/territory award recipients then become the national finalists for the awards. The prestigious year round program culminates in the announcement of the national award recipients in Canberra on Australia Day Eve. The Australian of the Year Awards is a program of the National Australia Day Council. For further information visit the Australian of the Year Award website here.